MASS EFFECT 3 has a release date declared for 6th March 2012 , according to the Mass Effect's 3 second trailer released by Bioware. Mass Effect 3 will be the Last installment in the Mass effect Saga , which will conclude the Earth's fate which is in Commander Shepard's hand. The first installment was focused on GETH invasion , the second installment was focused on the COLLECTORS and now its time to handle the last threat by REAPERS. 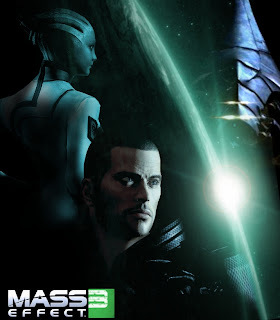 The game's story is based upon both the choices made in Mass Effect 1 and Mass Effect 2 , which will decide the relationships and teams which is to be put together. Stay tuned for more updates coming ahead regarding this game as something official is announced .